The next edition of Cord Cutting This Week will hit your inbox on April 26th since next week is Good Friday. And yes, we're publishing a bit early again today because Tablo QUAD is in stock and selling fast! If you've been waiting, don't miss out! Now for this week, we've got the details on the newest streaming service on the block — Disney+ — and how it could be a key component of a hard-to-beat cord-cutting combo. Also: Price hike for YouTube TV, short cuts, must-see OTA TV, and more. 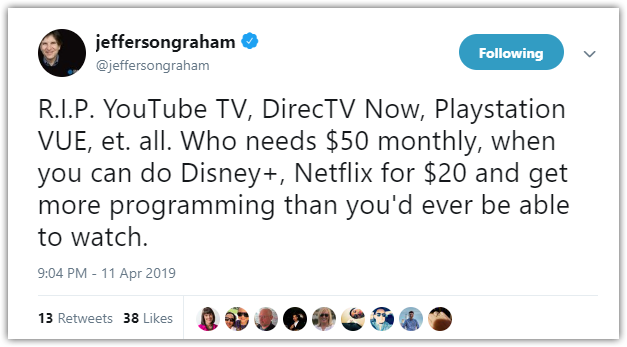 Yesterday Disney revealed details about its Disney+ streaming service which launches in November at a $6.99 USD/month price point. Disney+ will allow consumers to stream movies and TV shows from all of its 'brands' including Marvel, Star Wars, Pixar and Disney itself, as well as download content for offline viewing. 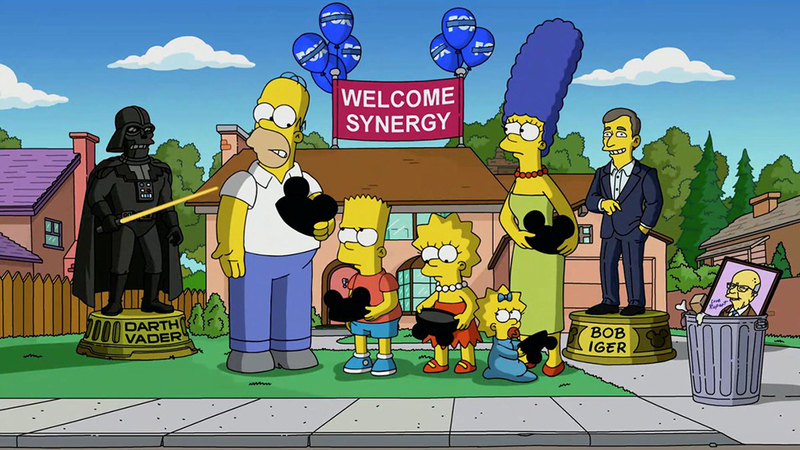 Disney+ will also become the exclusive streaming home of ALL seasons of The Simpsons. Add an Over-the-Air antenna for live local news, sports, and broadcast shows and cord cutters could enjoy a colossal amount of content for a price lower than the taxes on a monthly cable bill. Will you sign up for Disney+ when it launches? Tell us on Facebook or Twitter. A round of price increases is is hitting streaming TV services and this week it was YouTube TV's turn. As CordCutters.com reports, rates are going from $40 to $50/month for new customers ASAP and existing customers in May. The good news is that subscribers are getting several new channels in exchange including Discovery, HGTV, and the Food Network. 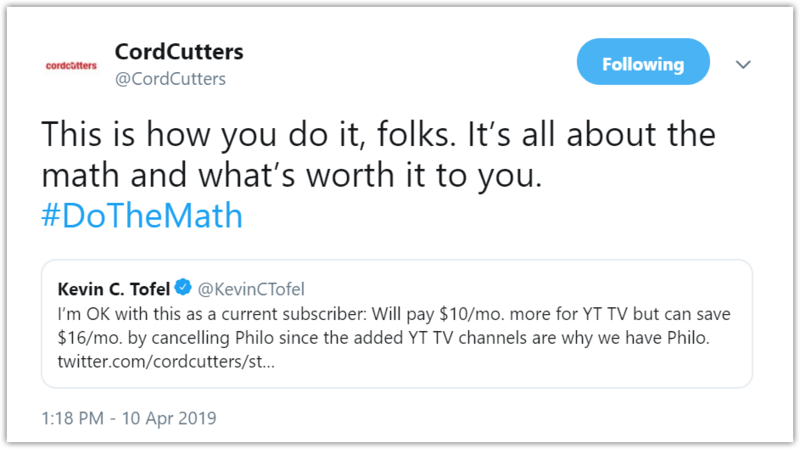 This is why every consumer should review their cord cutting setup on at least a quarterly basis to make sure they're getting the most bang for their buck, like Kevin did. 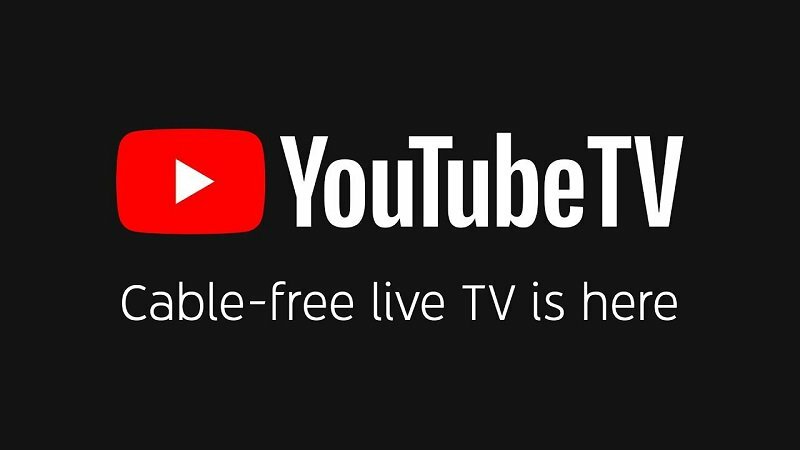 Are you a YouTube TV subscriber? Will you be sticking it out or switching up your cord cutting setup in the face of this increase? Tell us on Facebook or Twitter. Roku's latest firmware update adds the ability to remember your streaming service passwords if you've logged in on another Roku streamer or Smart TV. Other updates, including changes to voice search and an 'offers' menu, are garnering some heavy-side eye from critics who say Roku is losing their status as streaming's 'Switzerland'. TechHive's got a great 'how-to' on solving common streaming problems like buffering. Stadium wants to be America’s biggest sports network, and it just happens to be available Over-the-Air. TMobile launched their IPTV service this week which seems to be exactly like cable, including the must-have proprietary set-top-box and $100/mo price tag. A shocking 2.7 million folks are still getting DVDs by mail from Netflix. The US House of Representatives is trying to bring back net neutrality, but the legislation is likely to be blocked by the Senate. 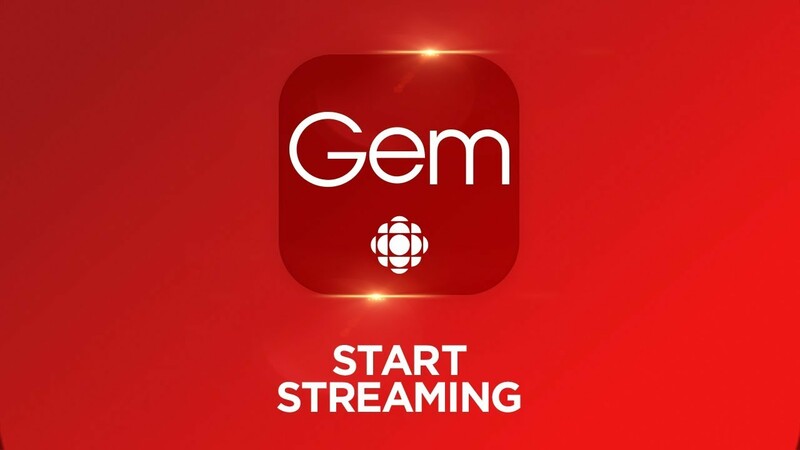 CBC's free ad-supported streaming service Gem is coming to Amazon Fire TV and Android TV devices starting next week. Even if you get CBC with your trusty Over-the-Air antenna, Gem is worth a look. Along with episodes of CBC shows including Shitt's Creek and Kids in the Hall, it also has movies and even the critically acclaimed show PEN15 which was made for Hulu in the US.